There’s no stopping the cold, and right when it hits, it seems to make our energy bills skyrocket. Prepare for the upcoming snowfalls and extreme temperatures by getting a professional energy audit for your home. Let the professionals at Home Performance Experts examine the energy efficiency of your home and detect any problems before the winter months hit. 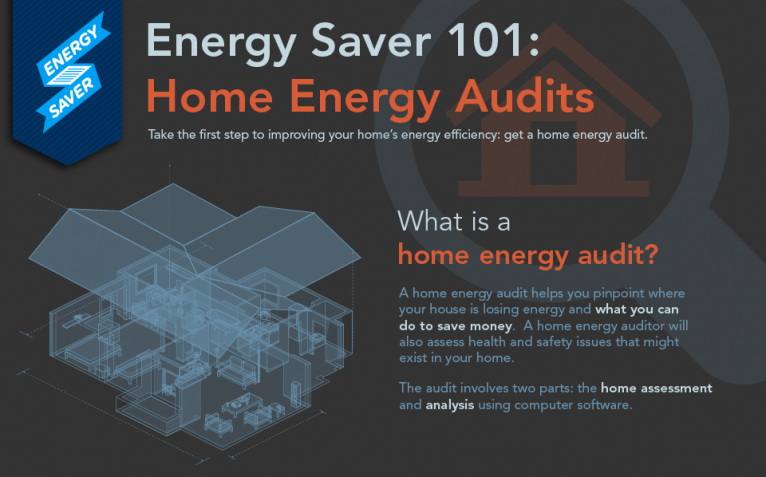 Decreasing the costs piling up on your utility bill is simple with the help of an energy audit. With HPE, there are four steps to a more efficient home, and the best part is: You won’t lift a finger. HPE will test your energy levels with specialized equipment, perform visual, health and safety inspections, create a comprehensive home energy report and explain all of the available federal tax credits for energy efficiency improvements. 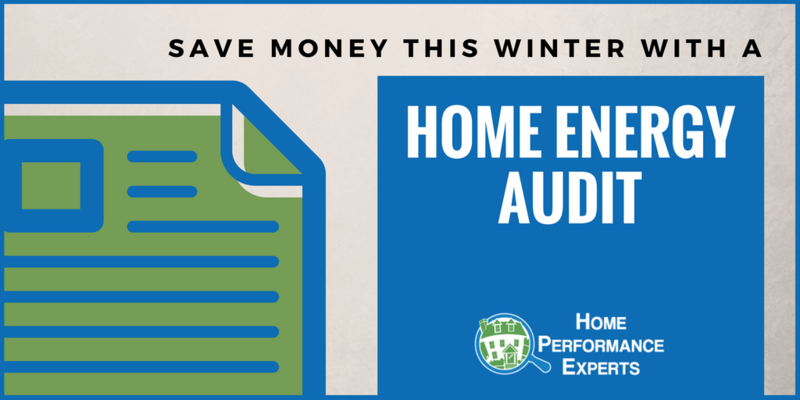 Once you receive your home energy report and decide what improvements your home could use, consider throwing these fixes into the mix, and save some major dough this winter. Adding attic insulation is one the easiest solutions for improving the energy efficiency of your home. Before you insulate, you should ensure that your home is properly air sealed, which is covered in your home energy audit. Installing new insulation is a lengthy, but feasible process for the common man. Once you get past all of the labor and dust, you will be able to enjoy the outstanding benefits. There are many different types of insulation, and their prices do vary. You will be able to find the perfect match for your home after viewing your HPE energy report. Want to know how airtight your home is? The experts at HPE will use special blower door tests to help determine your home’s airtightness. This process can be done before and after air sealing in order to test your work’s effectiveness. Cold and windy weather causes too much air to enter your home, making you boost up the heater and spend more on keeping your family warm. 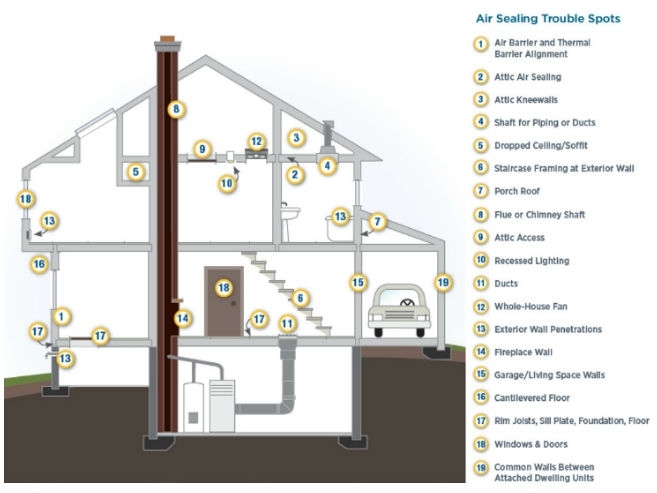 An HPE energy audit can thoroughly inspect all rooms in your home, like those shown below, and locate any air leaks you may have. Then, the troublesome air leaks can be fixed with caulk, weatherstripping or any other air sealing material. Keeping an unused fireplace unsealed year-round is like throwing your money out the window, or better yet, up your chimney. It’s always a good idea to seal up your fireplace when it’s not in use. There is a variety of sealers available for purchase and installation, and you can find one that perfectly matches your needs. If your family tends to frequently use the fireplace, simply remembering to close the fireplace damper will help retain some of your home’s heat. It is going to take some time for our bodies to adjust to the changing temperatures the season bring. 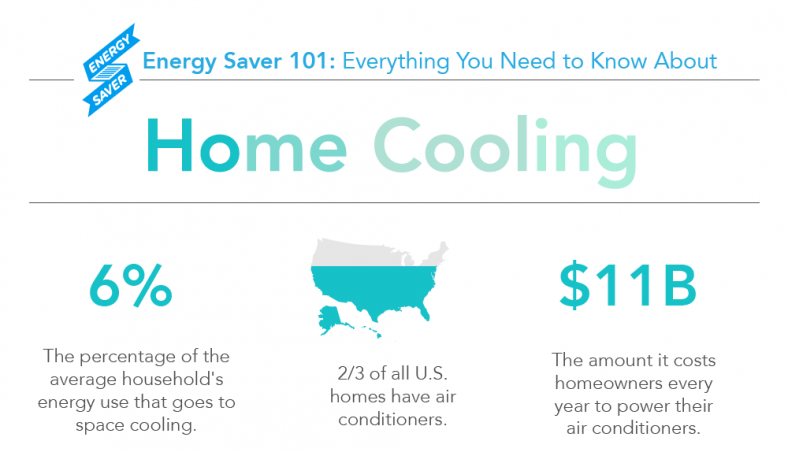 When it begins to feel a little cooler than normal in your home, quickly flipping on the heat isn’t necessarily the best solution. Wasted energy can soon accumulate, especially when the thermostat is kept at a constant temperature. Consider properly adjusting the temperature of your home for the times you or your family aren’t home. Manually turning down the heat, or purchasing a programmed thermostat to do it automatically, can have a big effect on your utility bill. Don’t let this winter take over your home’s energy bill. 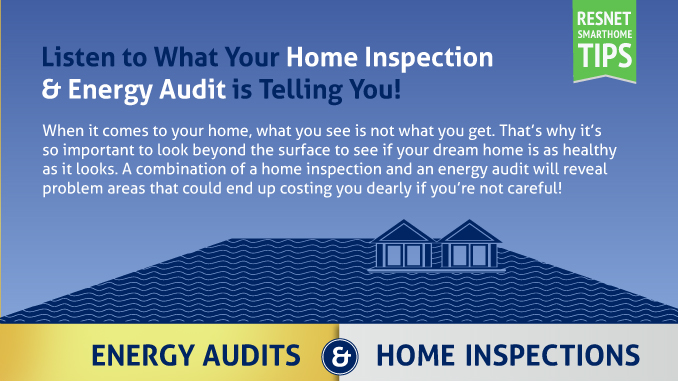 Ask the energy professionals at Home Performance Experts for a thorough home energy audit, and make the improvements your home needs before the cold winds start blowing. Call 573.999.1196 today to schedule your HPE energy audit.